This is right up my alley!! I love this idea from Chaotic Goddess! 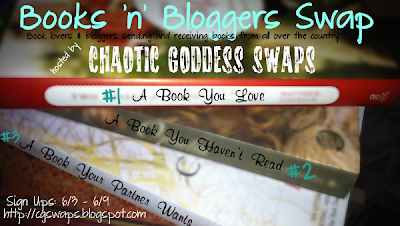 She's hosting a Books 'n' Bloggers Swap! Click the picture below to get signed up yourself!